Comic-Con has been coming to San Diego ever since its first convention in 1970. That event, called San Diego’s Golden State Comic-Con, was held at the U.S Grant Hotel over a three-day period. About 300 attendees packed into the hotel’s basement for the new convention, which featured guests such as science fiction author Ray Bradbury and comic book artist Jack Kriby. Although the spirit of Comic-Con may still be the same as back then, the convention has gotten a lot bigger. According to Forbes, San Diego’s Comic-Con is “the largest of its kind in the world.” It also happens to be the largest convention held in the city of San Diego. In 2010, the event filled the San Diego Convention center to capacity, with more than 130,000 in attendance. The convention has since grown to include satellite locations at hotels and parks. 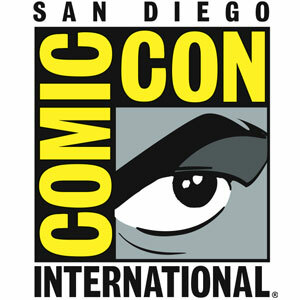 This year’s Comic Con will be held from July 18-21 in San Diego’s Convention Center. Doors open at 9:30 a.m. Thursday for the main event, though there will also be a Preview Night Wednesday for exhibitors, industry professionals, and some pre-registered guests. Keep in mind that if you haven’t bought tickets already, you may not be able to enter main convention area. All four-day tickets and single-day tickets for this year’s Comic-Con sold out within the first couple of hours of being put up for sale. While there’s plenty to see and do at Comic-Con in terms of comics, movies, and costumes, the convention also offers some excellent opportunities to see some of the world’s biggest music acts. This year in particular, the live entertainment at Comic-Con seems to have really reached another level. Metallica – Heavy metal icons Metallica will be making their Comic-Con debut at this year’s convention on July 19th. All four members of the band, including singer-guitarist James Hetfield, guitarist Kirk Hammet, drummer Lars Ulrich, and bass player Robert Trujillo, will be on hand to promote the group’s upcoming 3-D IMAX film, Metallica Through the Never. The film, which was shot in 2012, combines Metallica concert performances with an apocalyptic story. Weezer – Alternative-pop band Weezer will be performing in downtown San Diego (at Seventh and Island) to help celebrate the Waking Dead’s 10th anniversary. The event will also feature appearances from Neil Patrick Harris, Seth Green, and cast members from AMC’s The Waking Dead. Prior to the show, the band will be at local indie record shop FeeLit San Diego, located in the East village, signing limited edition Weezer / The Walking Dead posters. 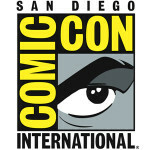 To find out what else is happening at this year’s Comic-Con, visit www.comic-con.org. Considering the amount of people expected to flock to Comic-Con, traffic and parking throughout the city will most likely be affected. Thankfully, for those who are just trying to find their way to and from the convention center, Comic-Con is once again offering a 24-hour shuttle service. The shuttle service, which is free to use, is designed to both ease congestion around city and provide Comic-Con attendees with safe travel options. The service has more than 60 stops, including locations in the downtown area and Mission Valley, among others. The shuttles are sponsored by NBC and will start running for Preview Night at 3 p.m Wednesday. Although the shuttles will stop running at 10 p.m. that night, they will offer 24-hour service beginning at 5 a.m. the next day and will run through 7 p.m. Sunday. For a full map of the shuttle’s routes, visit www.comic-con.org/cci/shuttles.